Proverbs 31 Woman shares a detailed post on different ways to make natural, garden fertilizer. 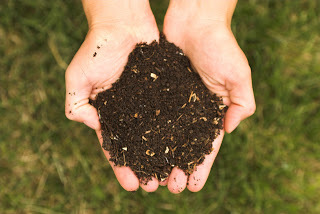 She discusses 8 ways to make different, organic fertilizers. Only one of the methods (the herb discussed at the end of the post) produces a balanced fertilizer. A balanced fertilizer has nearly equal parts of nitrogen, phosphorous and potash (N-P-K). Because homemade fertilizer can be created from a variety of ingredients, the N-P-K can vary greatly. I have used both comfrey and fish-based fertilizers. If you don’t have comfrey growing in your area you can get organic comfrey at Mountain Rose Herb. Click on the How to Make Your Own Natural Garden Fertilizer link below to read the entire article.